Fig. 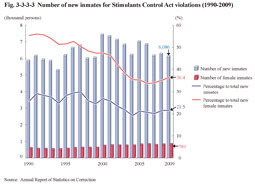 3-3-3-3 shows the number of new inmates for Stimulants Control Act violations over the last 20 years. The number has basically remained stable in recent years, but with females, it has been on an increasing trend, and in 2009 it increased to approximately 1.4 times that in 1999. Fig. 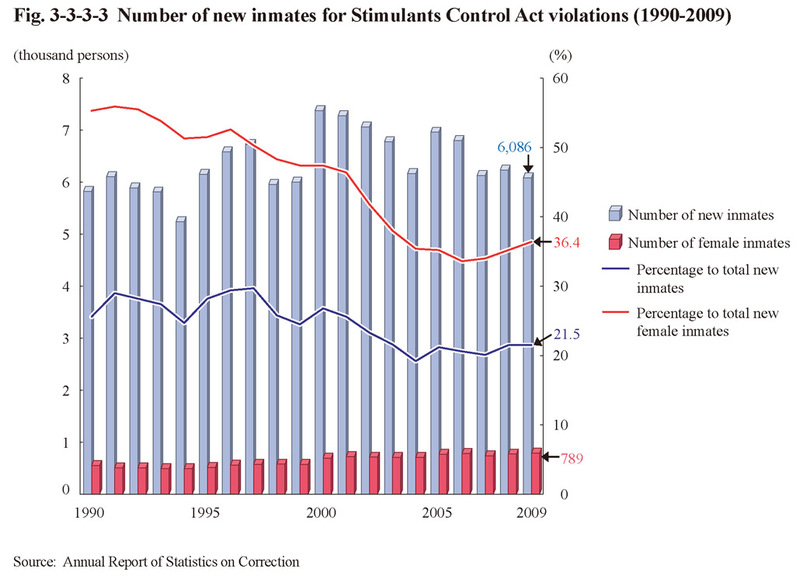 3-3-3-4 shows the percent distribution of new inmates for Stimulants Control Act violations in 2009 by age group. Those aged 30-49 accounted for approximately 70% and as for females, the proportion of those younger than 40 was higher than males.